Our goal is to connect people with the best local experts. We scored personal injury lawyers on more than 25 variables across five categories, and analysed the results to give you a hand-picked list of the best personal injury lawyers in New York, NY. The attorneys at Barasch McGarry Salzman & Penson have more than 100 combined years of legal experience. The New York law firm represents clients in personal injury cases such as car accidents, bike accidents, construction accidents, 9/11 World Trade Center Zadroga claims, spinal injuries, and other injury claims. Clients have praised the law firm for its understanding, helpful, and empathetic attorneys. Belushin Law Firm PC handles personal injury cases such as car accidents, wrongful death, premises liability, construction accidents, medical malpractice, defective products, and municipal claims. The New York practice is a member of the National Association of Personal Injury Lawyers, the American Association for Justice, and The National Trial Lawyers Top 100 Trial Lawyers. Clients attest to the firm's reliable and professional work. Gair, Gair, Conason, Rubinowitz, Bloom, Hershenhorn, Steigman & Mackauf is a New York personal injury law firm founded in 1919. The practice has experience handling cases including wrongful death, medical malpractice, general negligence, auto accidents, defective products, crane accidents, and other cases. The firm is a member of the American Board of Trial Advocates, the American College of Trial Lawyers, and Best Lawyers. Giordiano Law Offices handles personal injury cases such as auto accidents, construction site accidents, premises liability, and falling objects. The New York law firm has been featured in Super Lawyers, The New York Times, the New York Post, and the Daily News. Clients have praised the attorneys for their professionalism and confidence. Godosky & Gentile, PC has had some of the largest settlements and verdict awards in New York State's history. The firm has experience handling personal injury cases involving medical malpractice, motor vehicle accidents, construction accidents, police misconduct, premises liability, product liability, assault injury, and nursing home abuse. The practice has been recognized by Super Lawyers and won the 2014 Best Lawyers Best Law Firms Award from U.S. News. Goldstein & Bashner is a law firm based in East Meadow that works with clients injured from slip and fall accidents, car accidents, bullying, sexual assault, school accidents, and drunk driving accidents. The practice is a member of the New York State Academy of Trial Lawyers and the Rail Road Accident Trial Lawyers Association. Clients have left positive feedback for the attorneys' professionalism, patience, and dedication. The attorneys at Hach & Rose have more than 100 years of combined legal experience. The New York law firm's personal injury attorneys handle cases such as construction accidents, work-related injuries, product liability, medical malpractice, workers' rights, and wrongful death. Clients have praised the attorneys for their communication and honesty. The attorneys at Hecht Kleeger & Damashek, PC have more than 70 combined years of personal injury law experience. The New York law firm is a member of Super Lawyers, the Center for Justice & Democracy, and the American Association for Justice. The practice was also featured in New York Magazine's Top Verdicts & Settlements. Clients attest to the experienced and knowledgeable attorneys at the firm. Law Offices of David A. Kapelman, PC has been handling personal injury cases in New York for more than 30 years. The law firm represents clients in cases such as construction accidents, lead paint poisoning, catastrophic injury, auto accidents, and wrongful death. The practice is accredited by the Better Business Bureau with an A+ rating and Peer Review Rated by Martindale-Hubbell. Clients have left positive feedback for the law firm's welcoming, humble, and knowledgeable attorney. Leandros A. Vrionedes PC has more than 25 years of civil litigation experience. The practice advocates for clients in personal injury cases including vehicle accidents, premises liability, medical malpractice, products liability, and workplace injuries. The New York firm won the Avvo Clients' Choice Award in 2012 for Personal Injury, and Leandros A. Vrionedes is a member of the New York State Trial Lawyers Association, the New York County Lawyers Association, the American Trial Lawyers Association, and the New York State Bar Association. Proner & Proner is a team of personal injury attorneys that have been featured on CNN, CBS, ABC, NBC, FOX, WPIX, and other channels. Founded more than 50 years ago, the New York firm handles all types of personal injury cases including motorcycle accidents, motor vehicle accidents, brain injury cases, and workers' compensation cases. Proner & Proner has an AV rating from Martindale-Hubbell and a Superb Avvo rating, and the firm is a member of the American Association for Justice and the Multi-Million Dollar Advocates Forum. Queller, Fisher, Washor, Fuchs & Kool, LLP has been advocating for clients in New York for more than 50 years. The practice focuses on complex cases such as catastrophic accidents and injuries, worker injuries, construction accidents, vehicle accidents, premises liability, police misconduct, and wrongful death. The law firm has an AV Preeminent rating from Martindale-Hubbell and was recognized as Best Lawyers Best Law Firms 2016 by U.S. News. RMFW Law has been handling personal injury cases since 1922. The New York law firm handles premises injuries, serious injuries, motor vehicle accidents, mass transit accidents, and construction injuries. The practice is accredited by the Better Business Bureau with an A+ rating and is Peer Review Rated by Martindale-Hubbell. The New York Law Journal awarded RMFW Law Top New York Verdicts of 2014. Schwartzapfel Lawyers PC has a 98 percent success rate in representing personal injury and wrongful death clients. The law firm has been featured in The Wall Street Journal, The New York Times, the New York Law Journal, and Newsweek. The practice is a member of the Million Dollar Advocates Forum, the Multi-Million Dollar Advocates Forum, The National Trial Lawyers Top 100 Trial Lawyers, and Super Lawyers. The attorneys at The Law Office of Richard M. Kenny have more than 100 combined years of legal experience. Richard M. Kenny was selected as a Member of the Nation's Top One Percent by the National Association of Distinguished Counsel. The New York personal injury law firm can be contacted 24 hours a day and will handle cases such as construction accidents, slip and fall accidents, premises liability, wrongful arrest, nursing home malpractice, and motor vehicle accidents. The Perecman Firm, PLLC has been representing clients in personal injury cases since 1983. The attorneys handle proceedings where clients have been injured by construction accidents, car and truck accidents, medical malpractice, nursing home abuse, premises liability, slip and fall accidents, and on-the-job accidents. The Perecman Firm has been seen in reports by El Diario, NY Mag, The New York Times, CNN, and NBC New York. The practice has a Superb Avvo rating and has been recognized by Super Lawyers and Best Lawyers. The attorneys at The Schlitt Law Firm have more than 25 years of experience in personal injury law. 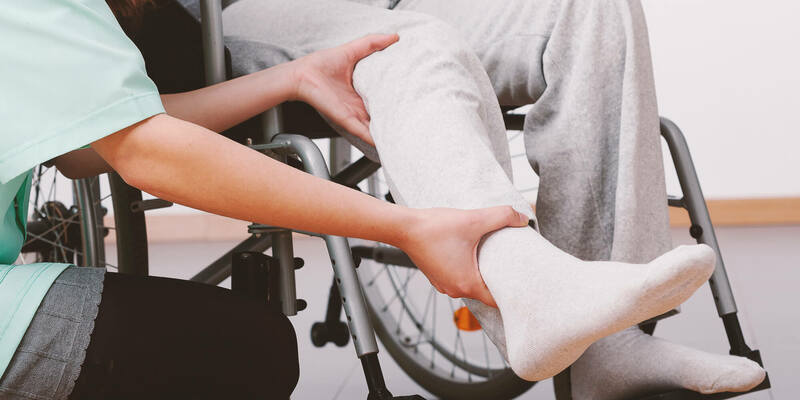 The practices has experience handling personal injury cases involving fractures, scarring, burns, soft tissue injuries, internal injuries, spinal cord injuries, head and brain injuries, and emotional distress. The law firm is a member of the New York State Trial Lawyers Association and Super Lawyers, and won the 10 Best Client Satisfaction Award 2014 from the American Institute of Personal Injury Attorneys. Trolman, Glaser & Lichtman, PC represents clients in cases such as motor vehicle accidents, workplace accidents, medical malpractice, defective medical devices, and other personal injury claims. Several of the firm's attorneys have been recognized by New York Super Lawyers. The practice has been advocating for clients for more than 40 years, and clients attest to its attorneys' honesty, knowledge, and understanding. Wingate, Russotti, Shapiro & Halperin, LLP has been representing clients for more than 50 years. The practice has experience with personal injury proceedings such as catastrophic injury, elevator accidents, spinal cord injury, railroad accidents, and fire injury. The law firm has been seen on FOX 5 News, Daily News, Super Lawyers, the New York Post, CBS 2, and Telemundo. The practice is a member of Best Lawyers, Super Lawyers, Million Dollar Advocates Forum, and the American Association for Justice.